Buddy doesn’t know he’s different. 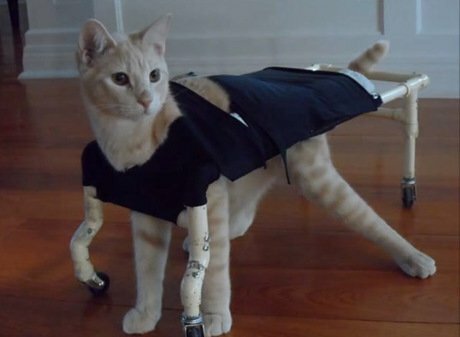 He was born with a neurological condition called Cerebellar Hypoplasia (CH). 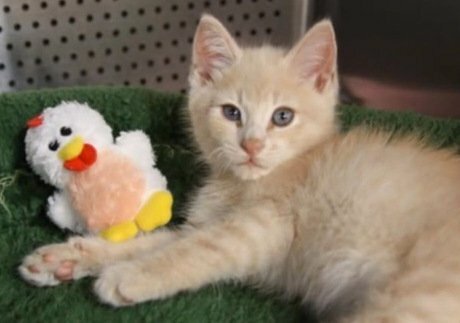 When he came to the Cat Depot rescue in Florida, he was unable to walk or stand. He definitely had that playful kitten spirit, but what kind of life would a cat with this condition have? Turns out that Buddy is having an amazing life full of love, toys, treats and caring humans who are willing to go the extra mile. 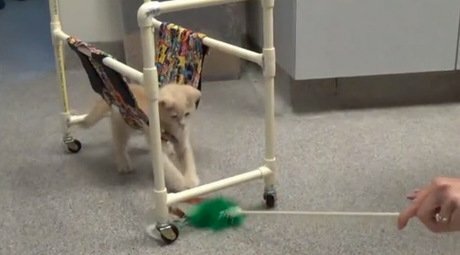 His foster family helped him to learn to eat, to walk with the help of a specialized walker designed just for Buddy and most impressive, Buddy even uses the litter box. His mobility has increased. He’s happy and healthy. Buddy has no idea he’s different from other cats. Eventually his foster family ended up adopting him. Follow the Cat Depot on Facebook and Twitter to see more of their amazing cats and help support their life saving cause.